As we discussed in a recent TEDx talk entitled “Burnout … a friend of a friend’s problem”, prolonged periods of stress without sufficient recovery can lead to serious overload, exhaustion or even burnout. A recent analysis of the results obtained with the Firstbeat Lifestyle Assessment (Firstbeat research database, 2014) shows that, on average, people have 6 hours of recovery (25%) compared to 11.5 hours of stress reactions (47%) over a standard 24-hour period. When at work, there was only 13 minutes of recovery on average and 29% of the participants did not recover at any point during the workday. Stress: What level or amount of stress reactions do you experience during the day? Is that stress counterbalanced with sufficient recovery? Recovery: Do you spend at least 25–30% of your time recovering during each 24 hours? Do you recover during the day (e.g. breaks and relaxation moments)? Sleep: Do you sleep enough? For how much of the time while you are sleeping are you recovering? Movement: Do you favour natural physical activity throughout your day (a gentle walk, bike, stairs vs. elevator, …)? Exercise: Are you building up or consuming your body’s resources when you exercise? 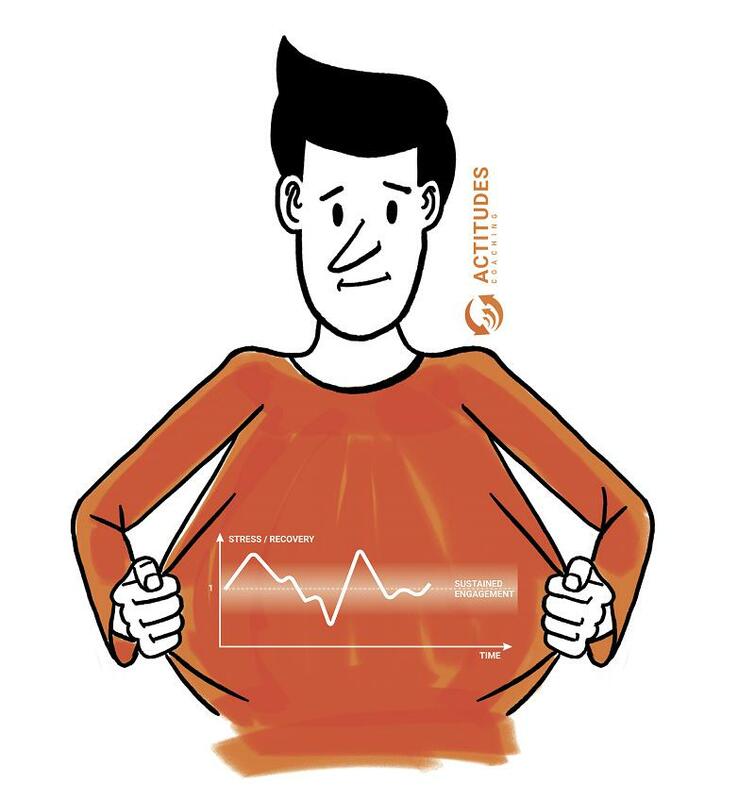 We offer a 3-day personal analysis that provides an accurate measurement of your body’s responses to daily activities. Data about your work, leisure and sleep are used to create an insightful and complete picture of your performance. A professional coach will debrief you with an individual report to help you better manage stress and enhance recovery. Contact us or visit our page on Firstbeat Lifestyle Assessment to learn more.